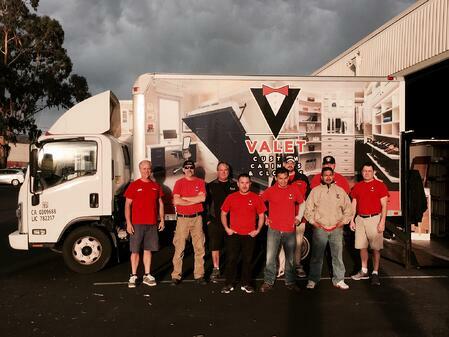 The Valet Custom Installation Crew: The Best in the Bay Area! At Valet Custom Cabinets & Closets, we are proud to be a locally owned company that employs local people, uses local materials whenever possible, and produces a product that stays in the greater San Francisco Bay Area. We take pride in the excellent quality of our work in every aspect of production. We are incredibly proud of all of our employees. However, we wanted to take an opportunity to recognize the part of the team who, aside from our designers and our management team, spends a good amount of time working with our clients: our outstanding installation crew. All of our 13 installers are employees, not contractors. This means that they drive company vehicles and use company tools that are all well-maintained and reliable. Because they are employees and not contractors, they all receive including insurance and paid time off. What this means for our customers is that we can attract and hold on to quality employees who are professionally-minded and looking to develop a long-term career with Valet. In fact, the majority of our installers have been employees of Valet for over ten years! Having installers who have been a part of the Valet team for such a long time means they are very well-versed in our process and are very much like on-site project managers. If follow up is ever needed for a project, our installers are comfortable working with our clients, Valet management, and the production crew back at our Campbell facility to get things resolved and to take care of our customers. “The two gentlemen, Vance and Don, arrived right at 9 am, and methodically managed all the materials into the house, up the stairs, and proceeded to do a fine, fine job installing our new custom master bedroom closet organizers!! Depending on the size of the project, either one or two installers will handle a job. Anything that involves casework cabinetry like Wall Beds is a two person job, as we want to ensure the safety of our employees. Our installers arrive at your home with everything they need to complete the final stage of your project. They will introduce themselves and review what they will be doing in your home. At this point, they will prepare your home for the installation: the entire path from their entry point to work area will be covered with drop cloths, as well as the room in which they will be working to protect all of the floor coverings. Once they have set up and verified the measurements, they will lay out and line up all of the parts and begin the assembly process. When that is complete, our installers will show our client the finished product and go over any special features that may need a demonstration, like magnetic-backed desks. They clean up and head on their way. Want to see what the whole process looks like? 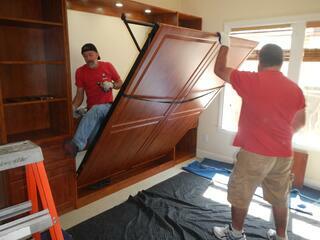 Check out this great time lapse video of Kevin and Paul installing a walk-in closet in Livermore! Having great designers (which we do) wouldn’t amount to much if we did not have an outstanding manufacturing team (we’ve got that, too) and then finally an excellent installation crew to put it all together for our clients. From start to finish, we are sure that you will love your Valet Experience. Valet Custom Cabinets & Closets designs, manufactures and installs custom organizational solutions that enhance the functionality of your living space while complementing the décor of your home. Our talented design team creates unique solutions tailored to your specific needs, style, and budget. We are independently owned and a direct manufacturer. Our areas of specialty include Home Offices, Wall Beds, Media Centers, Closets, Pantries, Garage Cabinetry, and much more. 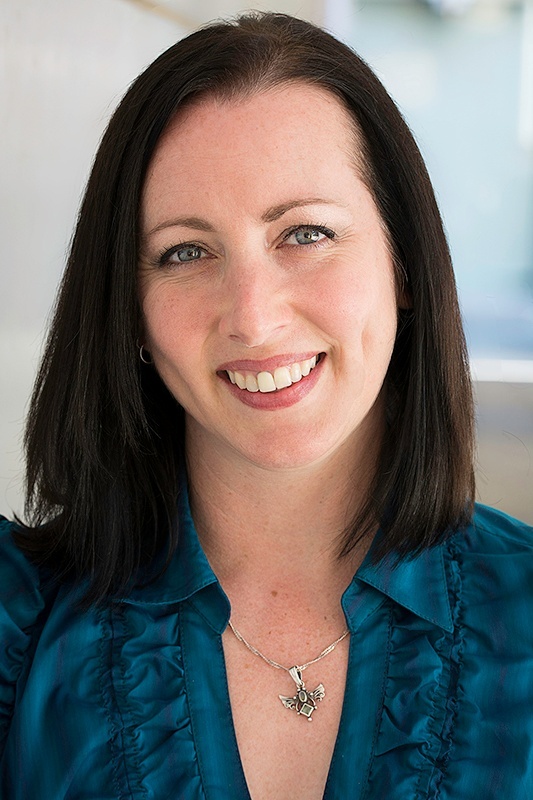 ZingPop Social Media, located in San Jose and founded in 2014, loves helping small businesses grow and succeed through their online marketing efforts. From coaching to total management for social media or email campaigns to blogging and more, ZingPop Social Media gives their clients a relevant voice in the social media conversation. To get your small business engaging with your target audience, please visit www.zingpopsocial.com. 602 Sycamore Valley Road W.
Locally owned and operated since 1973.